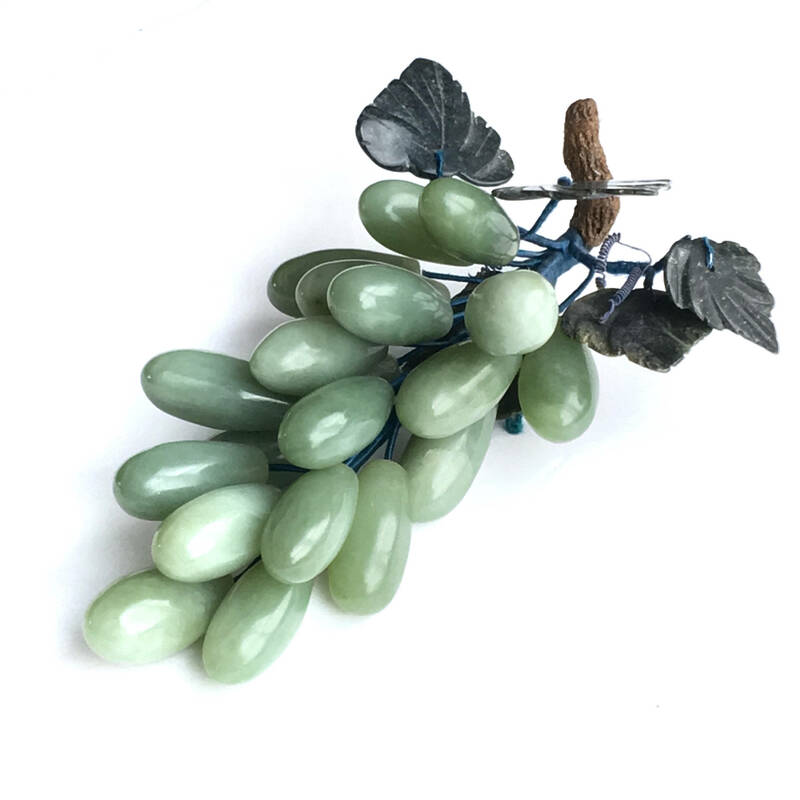 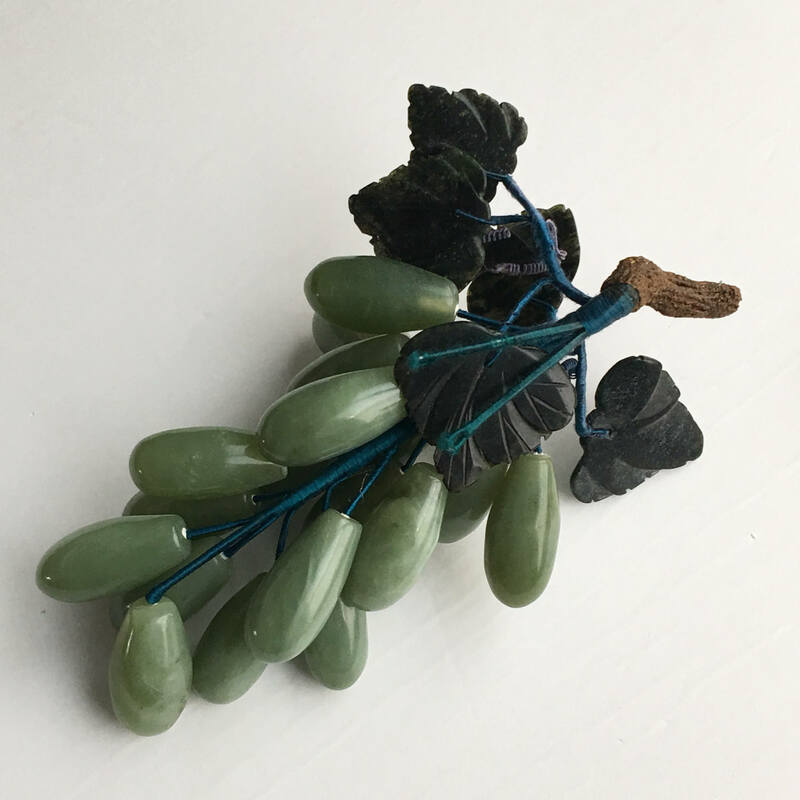 Beautiful vintage hand-carved jade grape cluster with carved leaf detail is both elegant & organic. 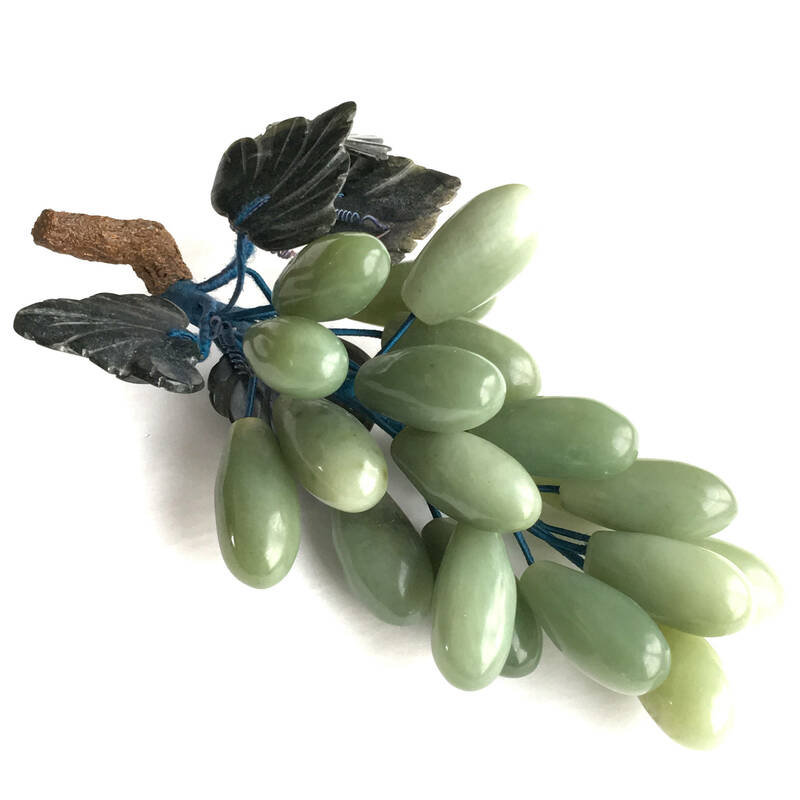 Mid century, circa 1960s. 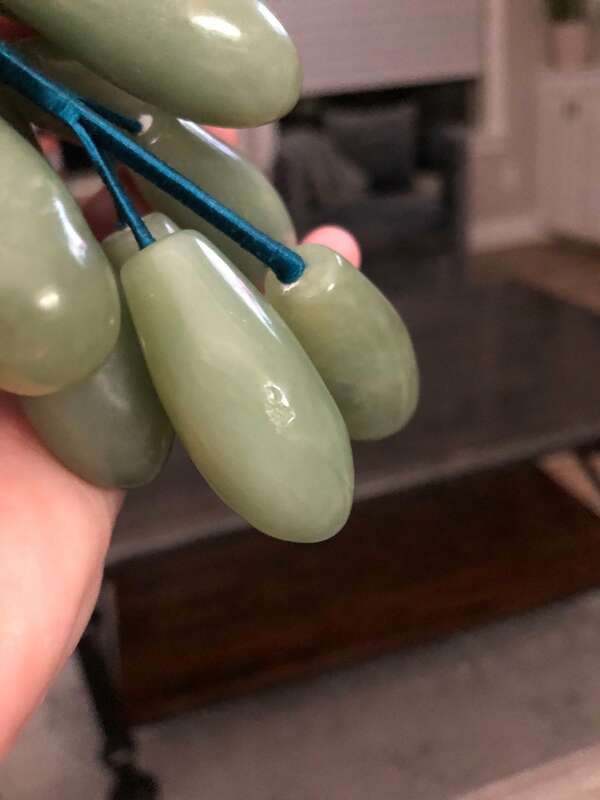 Cluster is approx 8" long. 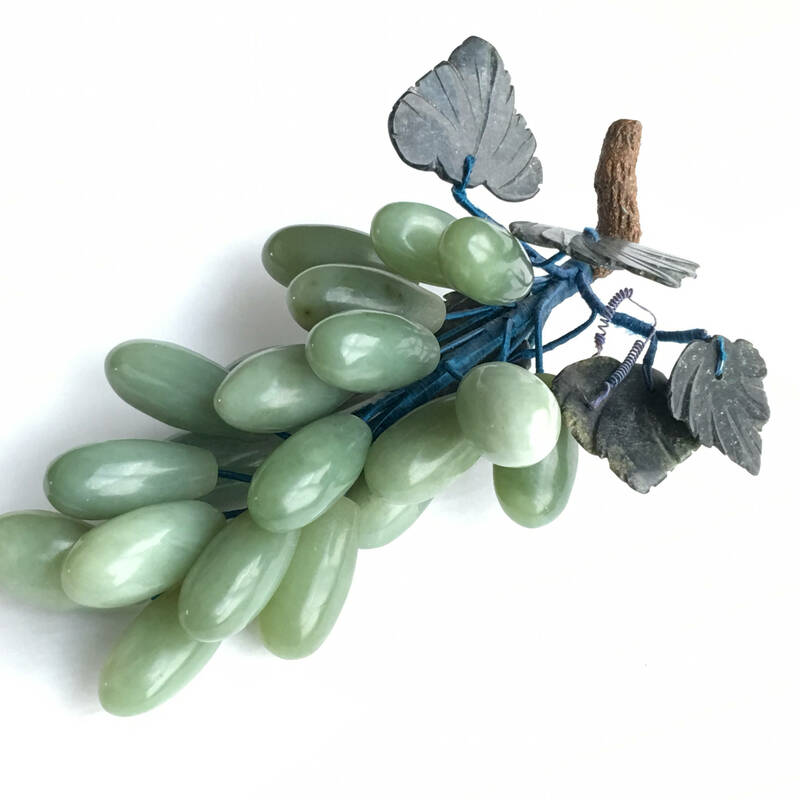 Each grape is about 1-1/2" long. 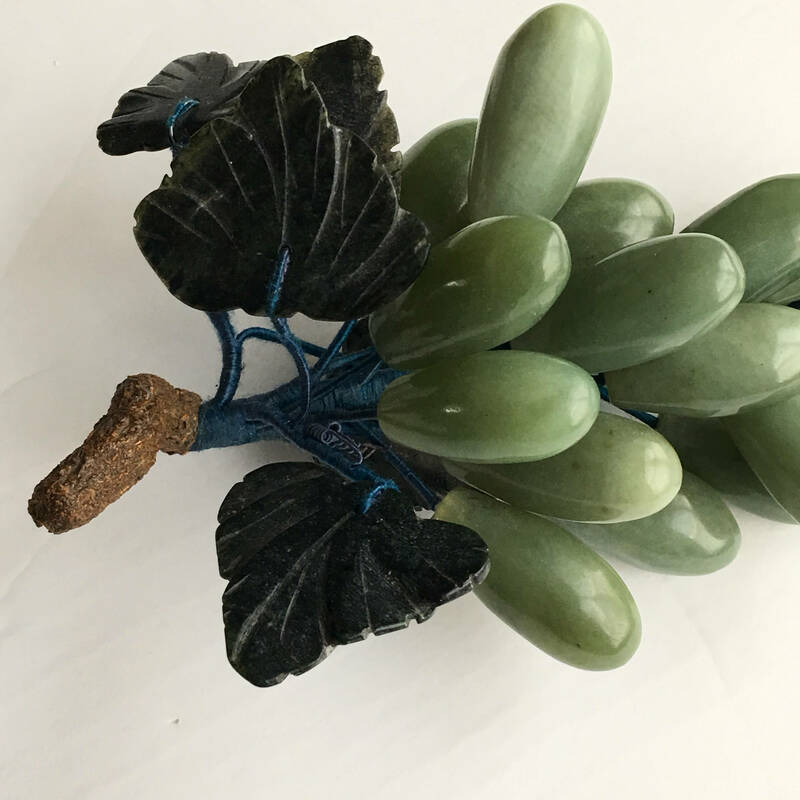 Very good condition with original blue silk thread wrapped stems, with a small blemish on the underside of one of the grapes on the bottom (please see photos).